Protecting the safety and security of your family requires ammunition that is dependable when lives are on the line. Hornady ammunition is the brand of choice for tactical teams, snipers and police officers throughout the world because it performs flawlessly. 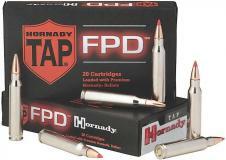 Now you can have the same reliable ammunition technology for your personal defense needs. 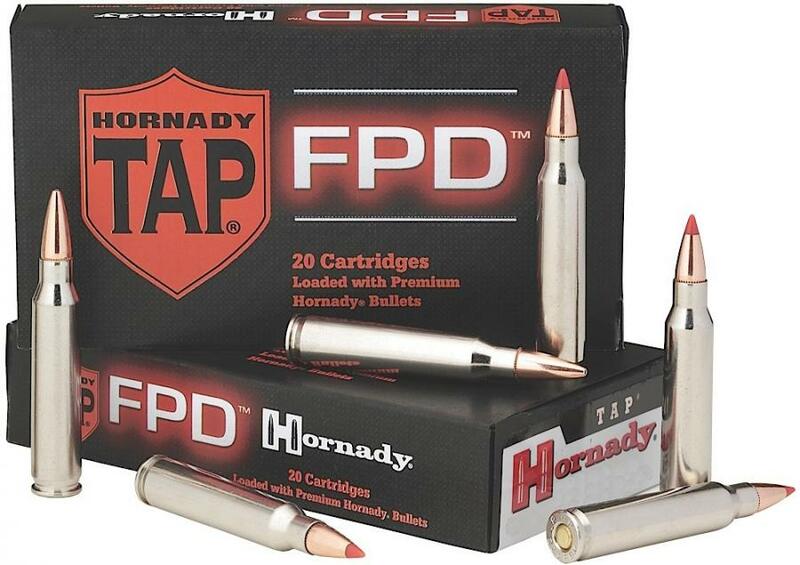 Hornady's family of TAP FPD (Tactical Application For Police/For Personal Protection) ammo is superior tactical ammunition designed specifically for protection from deadly threats. TAP FPD is engineered to deliver reliable and consistent performance every single time. Featuring Hornady bullets that deliver the terminal performance law enforcement and military professionals have trusted for years. Silver nickel cases eliminate the potential for corrosion, improve feeding in all firearms, and are easily visible in low light conditions. Propellants are engineered to protect your night vision by minimizing muzzle flash.